I recently did an emblem roundup of superhero and villains for Call of Duty: Black Ops 2, but now it's time to usher in some holiday spirit. 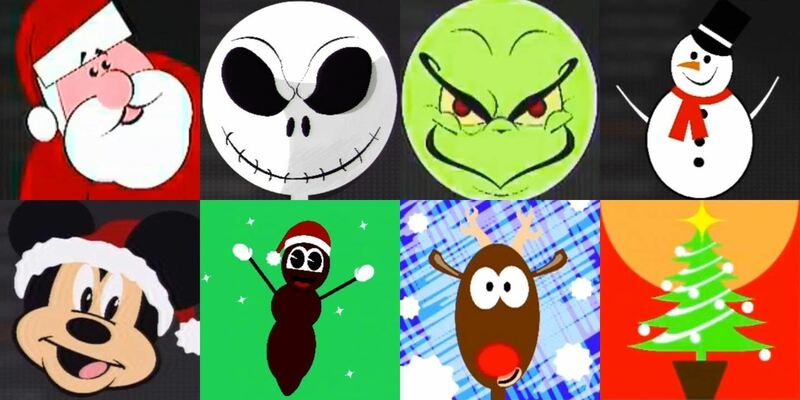 So check out these awesome Christmas-themed Black Ops 2 emblems. The King of Christmas is looking to add some n00bs to his naughty list. While Disney's little rodent 'cutes' everyone to death. Hey, it sure beats having a real one, right? Seriously, what else can you say besides "Hankey" and "Poo?" Nothing spells death more than green eggs and ham. Wait... that's the wrong Suess story. Well, they're both green. Just don't play in the Pakistan map, or Frosty might suffer a "Meltdown." Classic, but not sure if it's a good idea to have a huge red beacon on your weapon, though. At least it doesn't blink. A killer emblem for Halloween or Christmas, though, I think Jack likes eggnog better than pumpkin beer. Yeah, orange isn't really a Christmas color. Looking for some more COD: BO2 playercard emblems? Check out these 12 totally kickass emblems and these 12 more badass ones—and don't forget those comic book characters. What's your emblem look like? Share your pic in the comments below!